1. A mid size Mining ship, a true co-op miner for 2-3 people. 2. A mid size salvager, something that lets you have more space and people aboard. 3. Probably more fighters, because its CIG, AND THEY LOVE FIGHTERS! 4. A new Banu ship, I think we'll see one since the Defender got started. May not see done it until after the BMM but I think we'll see a concept for sale. 5. A new Esperia recreation. Its time for one. 7. The TITAN SUIT, ok not really a ship and we've seen it but I think it'll get sold. I am hoping for large sized dedicated EWAR/Hacking ship. Between having a Defender and BMM, I'm thinking I'll need slaves too. A ground version of the Banu merchantman where players can sell things like still-functional components salvaged from blown up ships and other similar things - a Star Citizen version of the Jawa SandCrawler in Star Wars because I feel like there are will be quite a few players who will not always want to be off-planet and out in space 24/7 and instead spend most of their time planetside. 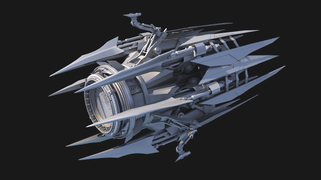 For SQ 42 to be ready, I think they need to build the Vanduul Cleaver boarding ship to go with the Void Bomber, so it is quite possible they're developing it now. They never say much about the state of affairs of Vanduul builds. I would not however assume it will be for sale. Could be you need to capture them in game. Sentinel for medium, Hammerhead and 600i for large, Polaris and all larger for Cap. Could include the 890i but I would not assume so unless they give it to the 600i as well. I would also want to keep tabs on the Star Runner for this. I can't automatically see why it wouldn't be a viable platform. Have they released any info on the Hammerhead and 600I being able to do EWAR? Currently they do not have dedicated EWAR modules and their systems are not exactly tuned for it. I would prefer a dedicated ship for it. No, I would not expect any other details until they release the scan updates, I think in Q1 next year. Is Q1 or Q2, but soon. I noted that whenever it is, they did not plan to release the Sentinel at the same time, so the big update on scan that makes EWar a thing is not linked specifically to the Sentinel so far as I can see. Is all a crap shoot until we know what scan and computer modules look like. Certainly you'll need a hefty/rare slot for the EWar suite. EWAR requires that module and the data strike missiles according to the design document. It hasn't been said whether any ship can use them or just dedicated ones like the Herald and Sentinel. Those are the only two listed for having EWAR while a concept for a module on the endeavor was also discussed. The spike missiles that go with the Sentinel are the Arrester III, and they also come with the Polaris, Hammerhead, Sabre and Gladius. Probably you can fire them from any bird big enough. The thing that makes the Sentinel highly unusual is it can mask its signature and that of the ships grouped with it to make it appear they are something other than what they are--or at least that was the promise made when they first sold the Sentinel. That is a huge step past a simple spike missile. In ages past I have seen Arrester series I, II and III and if the Gladius and Sabre still can carry them they must have S1 and S2 versions. Right now the charts only show the Arrester III, which needs a bigger bird to carry it, like the Vanguards. If they ever offer an Arrester IV, you could carry that on a Vanguard as well. Those are placeholders, they are NOT data spike missiles which are not in the game yet and require an EWAR suite to use. The EWAR suite is not in the game yet either, we don't have the systems for it yet. And the jamming is not the only part of EWAR, there is an offensive components utilizing the spikes to disrupt enemy systems or cause damage to components. None of this is ingame so we only have what the devs have said on it so far.